is professor of political philosophy and theory at the Technical University of Munich. Her latest book is Reclaiming the System: Moral Responsibility, Divided Labour, and the Role of Organizations in Society (2018). Such grievances have become sadly familiar – not only in medicine, but also in education and care-work. Even in more commercial environments, you’re liable to hear similar objections: the engineer who wants to deliver quality but is told to focus on efficiency only; the gardener who wants to give the plants time to grow, but is told to focus on speed. The imperatives of productivity, profitability and the market rule. Complaints come from the other side of the table as well. As patients and students, we want to be treated with care and responsibility, rather than as mere numbers. 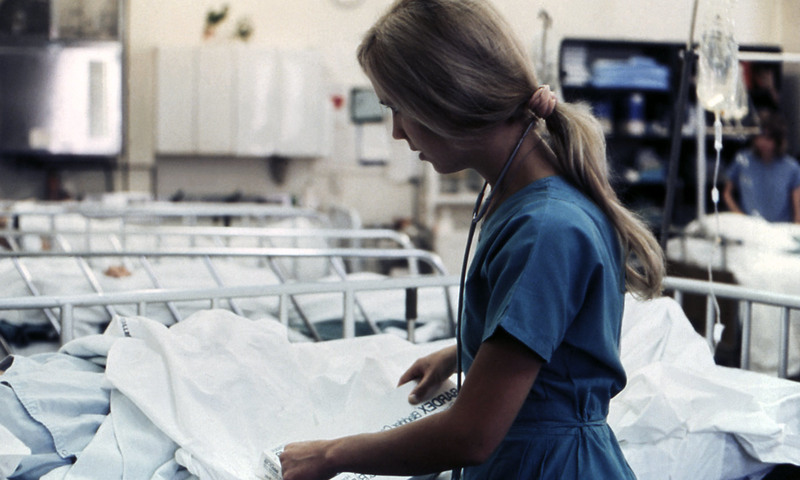 Wasn’t there a time when professionals still knew how to serve us – a cosy, well-ordered world of responsible doctors, wise teachers and caring nurses? In this world, bakers still cared about the quality of their bread, and builders were proud of their constructions. One could trust these professionals; they knew what they were doing and were reliable guardians of their knowledge. Because people poured their souls into it, work was still meaningful – or was it? In the grip of nostalgia, it’s easy to overlook the dark sides of this old vocational model. On top of the fact that professional jobs were structured around hierarchies of gender and race, laypeople were expected to obey expert judgment without even asking questions. Deference to authority was the norm, and there were few ways of holding professionals to account. In Germany, for example, doctors were colloquially called ‘demigods in white’ because of their status vis-à-vis patients and other staff members. This is not exactly how we might think that citizens of democratic societies should relate to one other now. Against this backdrop, the call for more autonomy, for more ‘choice’, seems hard to resist. This is precisely what happened with the rise of neoliberalism after the 1970s, when the advocates of ‘New Public Management’ promoted the idea that hard-nosed market thinking should be used to structure healthcare, education and other areas that typically belonged to the slow and complicated world of public red tape. In this way, neoliberalism undermined not only public institutions but the very idea of professionalism. This attack was the culmination of two powerful agendas. The first was an economic argument about the alleged inefficiency of public services or the other non-market structures in which professional knowledge was hosted. Long queues, no choice, no competition, no exit options – that’s the chorus that critics of public healthcare systems repeat to this day. The second was an argument about autonomy, about equal status, about liberation – ‘Think for yourself!’ instead of relying on experts. The advent of the internet seemed to offer perfect conditions for finding information and comparing offers: in short, for acting like a fully informed customer. These two imperatives – the economic and the individualistic – meshed extremely well under neoliberalism. The shift from addressing the needs of citizens to serving the demands of customers or consumers was complete. We are all customers now; we are all supposed to be kings. But what if ‘being a customer’ is the wrong model for healthcare, education, and even highly specialised crafts and trades? Similar practices could be introduced in many other professions – as well as areas not traditionally understood as specialist vocations, but in which decisionmakers need to draw on highly specialised knowledge. Ideally, this could lead to trust in professionals being not blind, but justified: a trust based on a grasp of the institutional frameworks that hold them accountable, and on an awareness of mechanisms for double-checking and getting additional opinions within the profession. But in many areas, the pressures of markets or quasi-markets prevail. This leaves our front-line professionals in a difficult spot, as Bernardo Zacka describes in When the State Meets the Street (2017): they are overworked, exhausted, pulled in different directions, and unsure about the whole point of their job. Highly motivated individuals, such as the young doctor I mentioned at the outset, are likely to leave the fields in which they could contribute most. Perhaps this is a price worth paying if it brings huge benefits elsewhere. But that doesn’t seem to be happening, and it makes all of us non-experts vulnerable, too. We cannot be informed customers because we know too little – but we can’t rely on being simply citizens any longer, either. Up to a point, professionalisation is built on the persistence of ignorance: specialised knowledge is a form of power, and a form that’s rather difficult to control. Yet it’s clear that markets and quasi-markets are flawed strategies for dealing with this problem. By continuing to accept them as the only possible models, we forgo the opportunity to imagine and explore alternatives. We must be able to rely on other people’s expertise. And for that, as the political philosopher Onora O’Neill argued in her 2002 Reith Lectures, we must be able to trust them. The young doctor I interviewed had long considered leaving her job – so when the opportunity to get a research-based position came up, she jumped ship. ‘The system was forcing me to act against my own best judgment, again and again,’ she said. ‘It was the opposite of what I thought being a doctor was all about.’ Now is the time to help reimagine a system in which she can recover that sense of purpose, to everyone’s benefit.